Michigan's New Holland Brewing produces much sought after ales and stouts, including their Dragon's Milk series of barrel-aged beer. While initially known for their brews, New Holland boasts a diverse spirits program. 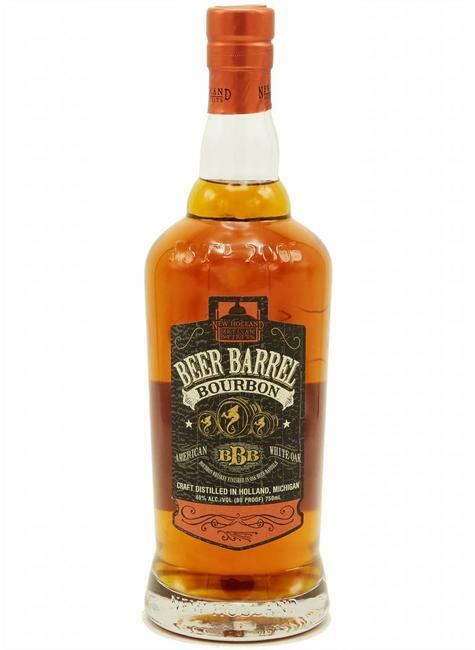 Aged initially for several years in new American oak casks, the Beer Barrel bourbon revisits its original barreling for three months only after New Holland's Dragon's Milk Stout has rented the space for awhile.